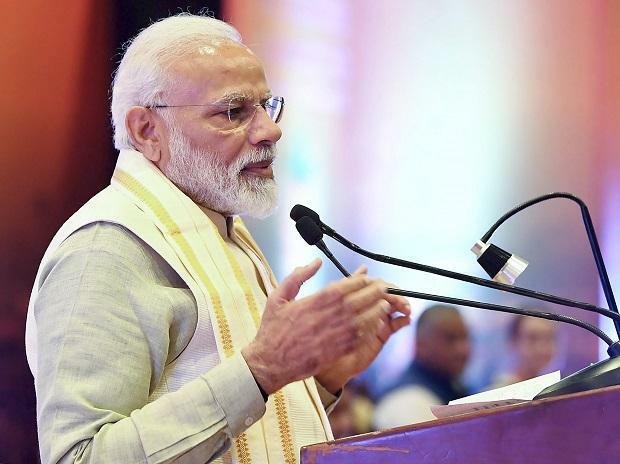 The Congress on Thursday accused Prime Minister Narendra Modi of "crass politicking" on the Indian Air Force's (IAF) strikes against a terrorist camp in Pakistan, saying he gave a speech to BJP workers but didn’t address the nation. Congress spokesperson Manish Tewari said the statements made by BJP chief Amit Shah and his party colleagues are playing into the hands of Pakistani propaganda and asked the NDA-BJP government to rein in their "motor mouths". He referred to the statements made by Shah in Gazipur where he sought votes to re-elect Modi in the immediate aftermath of the Indian Air Force strike on terror camps in Balakot in Pakistan and that of former Karnataka chief minister B S Yeddyurappa and Union Minister Giriraj Singh. "This is not the appropriate time to be going ahead with political programmes, However, what really shocked us was as at this point in time when the nation is looking towards its leadership, when the nation wants its leadership to speak to it, the Prime Minister chooses to address the booth workers of the BJP rather than address the nation. "It is unfortunate that at this point in time, when the priority should be further strengthening the nation, the Prime Minister thinks that this is the time to strengthen their electoral booths...Today, there is need to strengthen the nation," he said. Referring to the IAF captured by Pakistan, he said Home Minister Rajnath Singh was in Bilaspur, Chhattisgarh, attending BJP's political programmes and claimed the sensitivity of the entire situation seems to be completely lost on the BJP. Tewrai alleged that a Union minister had said that "all those who do not participate in the NDA rally and the Prime Minister's rally on March 3 would actually be considered as Pakistanis". "With great respect all the statements play into the hands of Pakistan. They play into the hands of Pakistani propaganda. We would like to tell the NDA-BJP Government and we would like to tell the BJP that they need to rein in their motor mouths. This is not the time for crash politicking. "The nation today stands as one, but, it is time that the NDA-BJP Government and the Bhartiya Janata Party come together as one with the nation," he said. The Congress leader alleged that while the prime minister has always been claiming that the nation is bigger than the party, but the statements made by him in such a sensitive situation indicate that the "party is bigger than the nation" for him. Tewari said the NDA Government decided on a course of action and the entire nation and the opposition have unanimously stood behind the decision of the government. Pakistan carried out certain incursions into Indian territory, he said these incursions are nothing but "chicanery to subterfuge" for decades of using semi state actors against India. "Four decades of using proxies to target India and its instrumentality. However, what is the matter of grave anguish is the conduct of the BJP. Ever since the pre-emptive non-military strikes were carried by the Government, the Indian National Congress postponed its meeting of the Congress Working Committee and various other political programmes associated with it," he said. The party's chief spokesperson Randeep Surjewala, in a tweet, alleged that the prime minister was "hell-bent on creating a video-conference record" when the entire country was praying for the return of its braveheart pilot. "Glaring case of misplaced priorities! 132 Crore Indians pray for safe & immediate return of India's brave-heart Wing Comm, Abhinandan but Modiji desperate only for re-election. Congress cancelled its imp CWC and Rally today. Pradhan Sevak hell-bent on creating a Video Conf. record (sic)!" Surjewala wrote on Twitter. Senior Congress leader Kapil Sibal also targeted Yeddyurappa saying, "On 27th February B S Yeddyurappa at Chitradurga in a public function said: 'The Indian Armed Forces proved their mettle by destroying the terrorists' hideouts. The impact of this strike will help BJP win more than 22 seats in the state'." "Is this patriotism or crass politics?" he asked. Surjewala, in a tweet, hit out at Prime Minister Modi saying, "The armed forces are taking care of the borders and the Pradhan Sewak the booth. These are the soldiers of power." He also used the hashtag "Booth first or country".